Airborne particulate matter (PM) negatively impacts air quality in cities throughout the world. An important fraction of PM is organic aerosol. We have evaluated and developed several new models for secondary organic aerosol (SOA), which is formed from the chemical processing of gaseous precursors. Using our model results, we have quantified important SOA sources and precursors and also identified possible model parameterizations that could be used for air quality predictions. We investigated Arctic atmospheric bromine chemistry during March–April 2012 to improve understanding of the role of sea ice and cracks in sea ice (leads) in this phenomenon. We find that leads vertically redistribute reactive bromine but that open/re-freezing leads are not major direct reactive halogen sources. Surface ozone depletion affects the vertical distribution and amount of reactive halogens, and aerosol particles are necessary but not sufficient to maintain reactive bromine aloft. Multiday haze pollution in the Asian continental outflow region is affected by both local and regional sources. The temporal evolution of PM2.5 inorganic species and organic compounds in Seoul, South Korea, and its upwind background site over the Yellow Sea shows the haze development sequentially by regional transport and local primary and secondary sources. Synoptic-scale weather systems and atmospheric blocking patterns play an important role in the dynamical evolution of the multiday haze. West Siberian peatlands occupy a large fraction of land area in the region, and yet little is known about their interaction with the atmosphere. We took the first measurements of CO2 and energy surface balances over a typical bog of West Siberian middle taiga, in the vicinity of the Mukhrino field station (Khanty–Mansiysk). The May–August study in a wet year (2015) revealed a relatively large photosynthetic sink of CO2 that was close to the high end of estimates at bog sites elsewhere. Ozone soundings in the troposphere from nine Arctic stations covering the period 1984–2014 have been analyzed. Stations with the best data coverage show a consistent and significant temporal variation with a maximum near 2005 followed by a decrease. Some significant changes are found in the annual cycle in agreement with the notion that the ozone summer maximum is appearing earlier in the year. Such changes in Arctic ozone in the free troposphere have not been reported before. We conducted temporal trend analysis of atmospheric NH3 and NO2 in China since 1980 based on emission data (during 1980–2010), satellite observations (for NH3 since 2008 and for NO2 since 2005) and atmospheric chemistry transport modeling (during 2008–2015). Our findings provide an overall insight into the temporal trends in both NO2 and NH3 since 1980, and the multivariate data used in this study have implications for estimating long-term Nr deposition datasets. We estimate how biofuel burning may contribute to cloud droplet numbers by modeling the evolution of the size and composition of each particle in a biofuel burning plume from emission until it reaches ambient temperature and humidity. Condensation of semi-volatile gases homogenizes composition so that particles without water affinity can form cloud droplets. Coagulation barely changes properties relevant to clouds, except for limiting the number of emitted particles or enhancing homogenization. The global-scale patterns of subtropical marine boundary layer clouds are investigated with coincident NASA A-train satellite and reanalysis data. This study is novel in that all data are used at the finest spatial and temporal resolution possible. Our results are consistent with surface-based data and suggest that the combination of satellite and reanalysis data sets have potential to add to the global context of our understanding of the subtropical cumulus-dominated marine boundary layer. In this study, studies on PM2.5 chemical composition, source apportionment and its impact on aerosol optical properties across China are thoroughly reviewed, and historical emission control policies in China and their effectiveness in reducing PM2.5 are discussed. Oxalic acid is an abundant and ubiquitous constituent in secondary organic aerosol (SOA) and can be an effective tracer for the oxidative processes leading to the formation of SOA. In this work photochemical reactions have a significant contribution to oxalic acid formation in summer, while in winter the formation of oxalic acid is closely associated with the oxidation of organic precursors in the aqueous phase. Aerosol-cloud interactions continue to contribute large uncertainties to our climate system understanding. 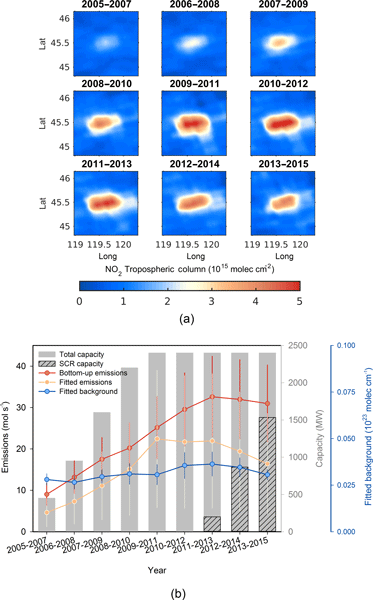 In this study, we use near-global satellite and reanalysis data sets to predict marine liquid-water clouds by means of artificial neural networks. We show that on the system scale, lower-tropospheric stability and boundary layer height are the main determinants of liquid-water clouds. Aerosols show the expected impact on clouds but are less relevant than some meteorological factors. The aim of the study was to examine aged air masses being transported from the European continent towards Cyprus. Longer-lived oxygenated volatile organic compounds (OVOCs) such as methanol were mainly impacted by long-distance transport and showed higher values in air masses from eastern Europe than in a flow regime from the west. The impact of the transport through the marine boundary layer as well as the influence of the residual layer/free troposphere on OVOCs were studied. How do changes in warm-phase microphysics affect deep convective clouds? Radar reflectivity is a valuable observational tool used to guide numerical weather model improvement. Biases in simulated reflectivity help identify potential errors in physical process and property representation in models. This study uniquely compares simulated and observed tropical convective systems to establish that a commonly documented high bias in radar reflectivity values at least partially results from the production of simulated ice particle sizes that are larger than observed. Using a model, we show that black carbon emissions from aircraft are most likely responsible for the observed high-altitude BC layers over the Indian region. Our analysis of model simulations and CALIPSO data shows that such aircraft-emitted BC layers can be vertically transported into the UTLS region upon their interaction with the underlying strong monsoonal convection. Such lifted BC layers, which intrude into the stratosphere, can potentially harm the stratospheric ozone layer. We present temporal and spatial δD distributions derived from IASI obtained above the North Atlantic in the vicinity of West Africa. We show that the seasonality of δD in the North Atlantic is closely associated with the influence of the Saharan heat low (SHL). We provide an interpretation of the temporal and spatial variations in δD and show that the interactions between the large-scale subsidence, the ITCZ, and the SHL can be disentangled thanks to the added information contained in δD. 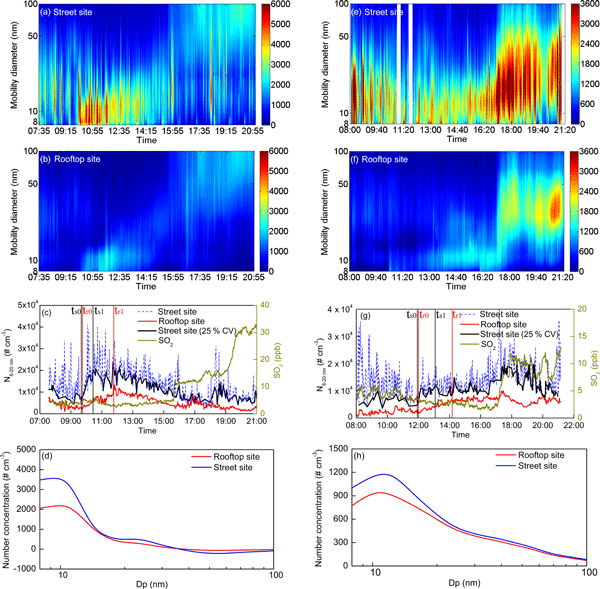 We evaluated the connection between DMS and the formation of aerosol particles in the Arctic atmosphere by analyzing multiple datasets of atmospheric DMS, aerosol particle size distributions and aerosol chemical composition that were collected at Ny-Ålesund, Svalbard (78.5° N, 11.8° E), during April–May 2015. The key finding from this research is that the contribution of biogenic DMS to the formation of aerosol particles was substantial during the phytoplankton bloom period. We find that Asian anthropogenic sources are the largest contributors (~ 40 %) to surface BC in spring in the Arctic, inconsistent with previous studies which repeatedly identified sources of surface BC as anthropogenic emissions from Europe and Russia. It takes 12–17 days for Asian anthropogenic emissions to be transported to the Arctic surface. Additionally, a large fraction (40–65 %) of Asian contribution is in the form of chronic pollution on 1- to 2-month timescales.